Selenium WebDriver allows resizing and maximizing window natively from its API. We use 'Dimension' class to resize the window. We can set the size and perform testing with lower resolution. 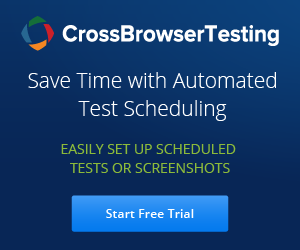 We can also perform testing on Responsive sites which automatically get adjust based on the browser size. It was really useful, thanks ! Code didn't work. There is an error on last line for SetSize asking me to change the Type of ref variable d to Dimension.